My husband and I were talking to our older kids recently about why we have certain rules for our family. One of the main reasons we want our kids to behave and follow our rules and guidance is for their safety. No parent wants anything to hurt or endanger their children. But another reason is that we want them to be good people. We want them to make good choices and treat others kindly. In a nutshell, we want them to live for and live like Jesus. 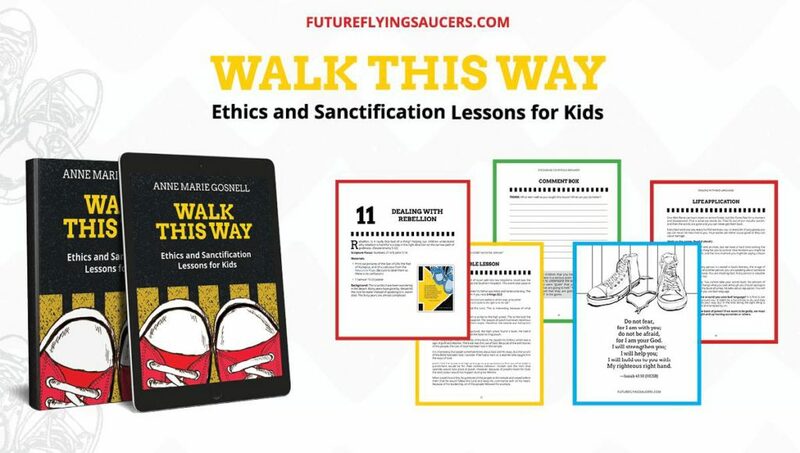 So the book Walk This Way: Ethics and Sanctification Lessons for Kids by Anne Marie Gosnell couldn’t have come at a better time. Not only were we just explaining the reasons for our rules to our kids, but unfortunately, we have been dealing with some character and heart issues that need to be remedied. A lot of selfishness, disrespect, disobedience, and just plain meanness has been brewing in our house lately, and this mama is so over it!! So I dug into Anne Marie’s book and found some activities that would hopefully help get our points across in a way they would understand and comprehend. Walk This Way is a must-have resource for families, schools, and churches. It contains 20 creative object lessons that will help teach your children Biblical truth. 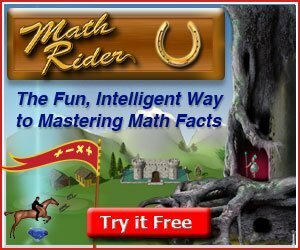 Each lesson is engaging and fun, which makes these lessons memorable for kids. Walk This Way is intended to be used with children in grades K-6, however, I included my preschooler and 8th grader in the lesson as well. The book is available as a digital resource ($15), physical soft cover book ($20), or Kindle version ($10); downloadable colored posters are also available for $5. You can also try it before you buy it – get a free sample lesson here (you’ll find it at the end of the page). I decided to start out with the lesson that encourages courteous behavior. It has you split the kids up into two teams, one team being sheep and one team being goats, and then you conduct a mini game show between the teams (you could even do this with just two people). Ultimately the sheep are the winners and they will be the ones sitting to the right of the throne of the Son of Man. The lesson includes questions that encourage the children to think critically about how the game show and its outcome relates to the Bible and how we can actually win the prize of eternal life. Being courteous and doing nice things does not give us eternal life, but rather believing in Jesus is what gives us that reward. However, if we believe in Jesus, we will desire to live a godly life and those good deeds will follow. 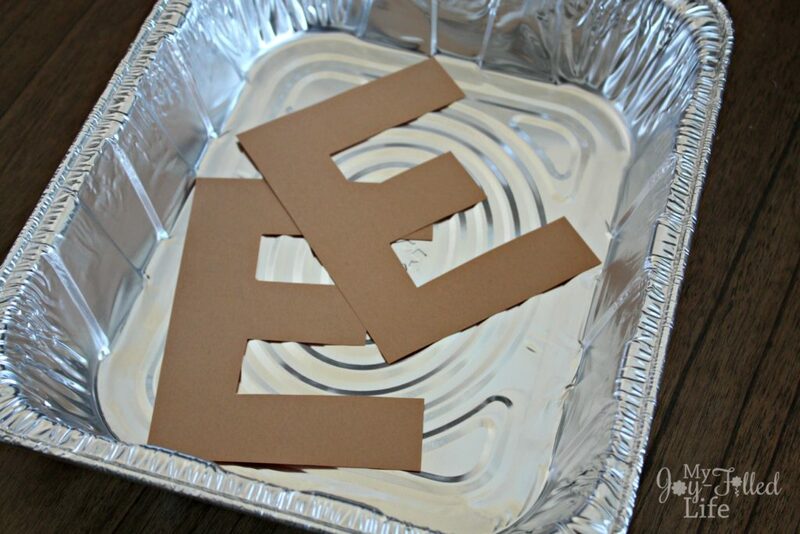 I then got a little sneaky and gave my kids some brown E’s to teach them a lesson about manipulation. 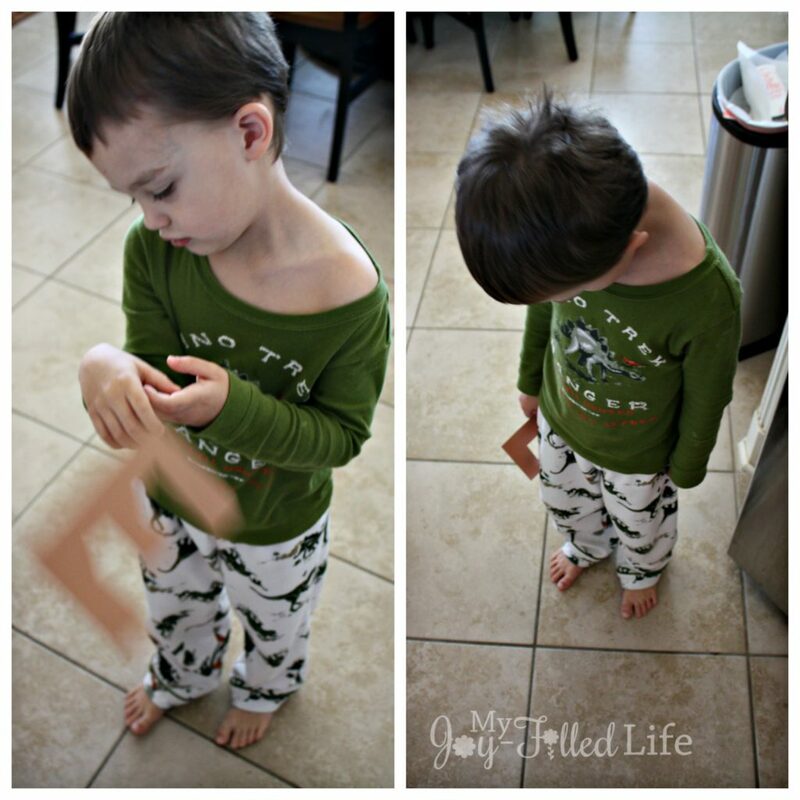 This object lesson relates to the story of Ananias and Sapphira from the Bible and teaches children that God always knows our thoughts and motivations. It also teaches that when we start to have negative thoughts, and thoughts of tricking someone or being manipulative, we need to take those thoughts captive (2 Corinthians 10:5). Anne Marie includes lots of tips and tricks throughout the book to help you be successful in executing the lessons. 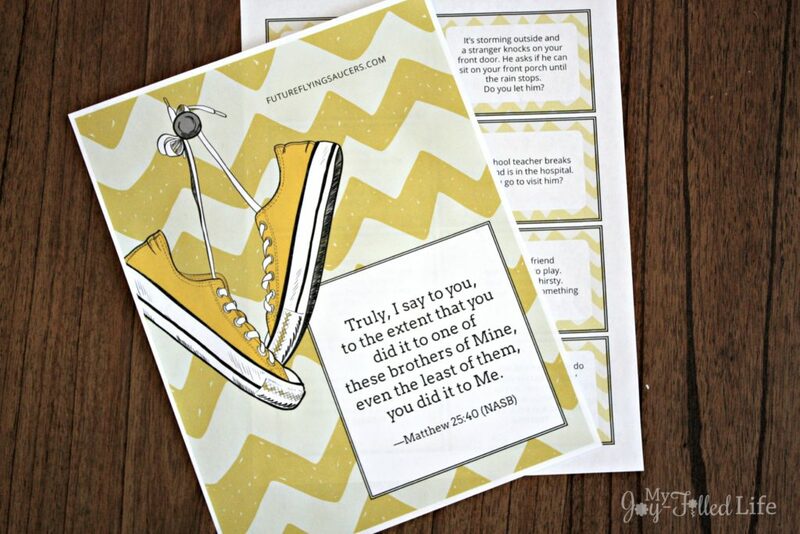 She also includes coloring pages and printable resources that you can find on her website. I have had the privilege of getting to know Anne Marie over the past several of years through the online world. Her love for Christ is apparent in all she does and she has an amazing gift and desire for teaching children about the Lord, as well as helping their parents and teachers share Jesus without fear. She has a graduate degree in education with a focus on developing curriculum and instruction. Her life journey includes over 25 years in Children’s Ministry. 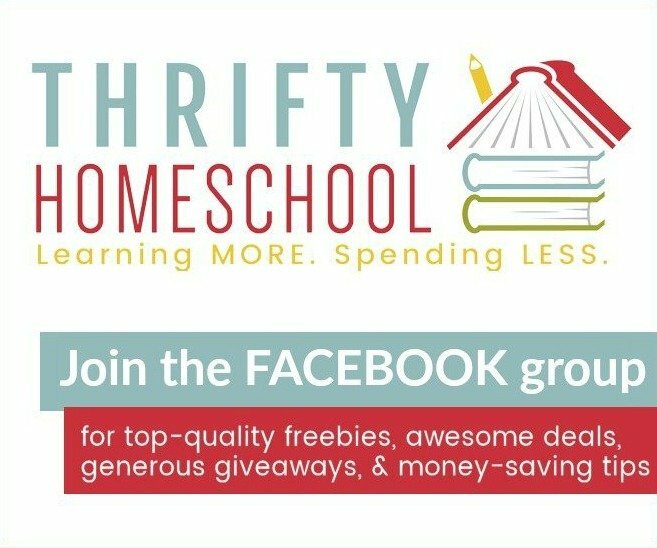 You can find even more creative ideas and resources on her website, Future Flying Saucer, and/or connect with her on Facebook. 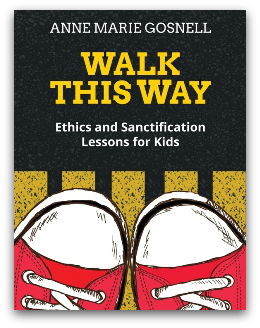 As I said above, Walk This Way is a must-have resource for families, schools, and churches. It is simple to use and requires very little preparation, which is something I look for when it comes to curriculum and resources. Though simple, the lessons are interactive, fun, and effective. All of my kids (well, except the baby), were engaged throughout the entire lesson. The use of simple objects really drives home the meaning of each lesson. My kids and I continue to use the courteous behavior lesson by pointing out whether a behavior is that of a sheep or goat. The book is laid out so that it is easy to follow and understand and Anne Marie gave me the confidence to be able to teach these big truths to my children. I can’t wait to try out more of the lessons with my kids. 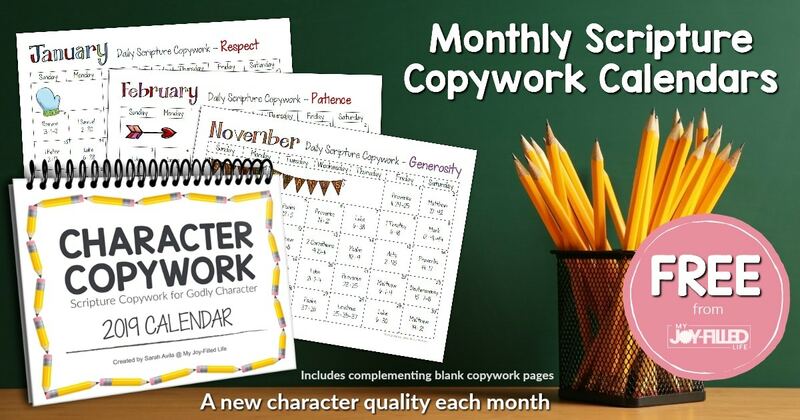 Would you like to win a physical copy, along with downloadable colored posters for your family? Giveaway ends March 5, 2017 at 11:59pm ET. 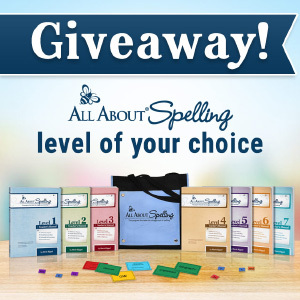 Selected winners will have 48 hours to respond to email notification to claim their prizes or another winner will be drawn. 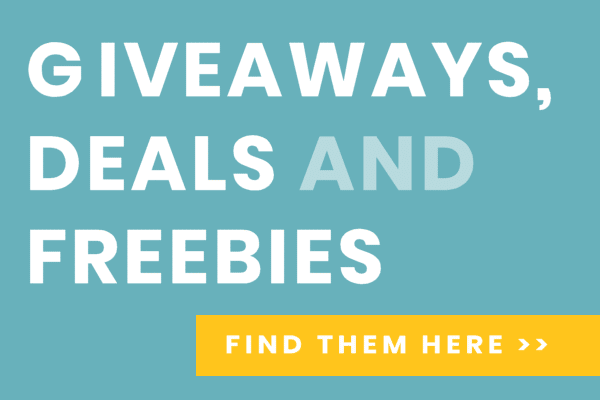 Entry into this giveaway will subscribe you to the My Joy-Filled Life and Future Flying Saucers email lists. Hi Sarah! I love all your ideas!! The only problem I have is that I am not able to sign up for free deals on my phone. These helicopter deals don’t work on my phone, whether it’s your give a ways or someone else’s. Do I need a computer for themes to work? I dontuhave one, so I usually miss out. Is there another way I can sign up? Hi Tammy – it could be that the entry form does not work on phones. And unfortunately there is no other way to enter. Could you visit your local library and use their computers perhaps?